There’s another rail construction project approaching its deadline for completion – the opening of a brand new train station in London. Meridian Water is due to welcome its first passengers coinciding with the summer timetable change on 19th May. That’s just twelve weeks away so I thought I’d pop along for a sneak peep through the hoardings and see if it’s worth ordering the cupcakes and balloons for the opening ceremony. Meridian Water is a huge long term (twenty years) £6bn regeneration scheme in the south east corner of the London Borough of Enfield, in an area east of the Edmonton to Tottenham corridor between the North Circular Road and Northumberland Park where a massive Tesco Extra, IKEA and other retail sheds dominate the landscape to the east of the rail line. The Master Plan boasts of 10,000 homes and “thousands of high quality new jobs” benefiting the local, regional and national economy. Commendably the project has kicked off with construction of the new Meridian Water station which began in November 2017. It’s situated on the line from Liverpool Street and Stratford via Tottenham Hale to Bishops Stortford, Cambridge and Stansted Airport. The location of the new station can be seen under construction on the above satellite image just to the west of Tesco Extra which is in the centre. The two track railway is being enhanced with a third track which will run from the south through Tottenham Hale and Northumberland Park stations (where London bound platforms are being widened into new island platforms) and ends in a new “turn back” facility at Meridian Water. The new station is just south of Angel Road station (as seen above and in the satellite image just north of the North Circular Road). Angel Road is famed for not only being London’s least used station but also having one of the most desolate and uninviting entrances. The station will shut when Meridian Water opens which is effectively a replacement station in a more convenient location for the development. The extra track will enable a more frequent service with extra trains starting at Meridian Water to Stratford and Liverpool Street as the development builds over the next couple of decades. It’ll be a slow build though as construction of the first 725 homes on land to the west of the new station (see satellite image above and photograph below) in an area endearingly called Meridian Angel isn’t due to start until next year. These new homes will be in the shadow of Tottenham Hotspur’s new ground seen in the distance – another late running construction project! Meanwhile those few passengers who currently use Angel Road (pictured below looking south) and wander off to their homes sited north west and west of the current station will have a much longer and circuitous walk to and from the new site. I thought it was worth visiting Angel Road to savour the dying embers of London’s iconic least used station before it closes. It doesn’t inspire, being adjacent to various scrap metal dealers and assorted light industry. As you can see from the following photographs, even the Samaritans have given up presenting a decent image. Talk about down at heel. The only bright spot was a notice pointing the way to a telephone (goodness knows why in this smartphone era) but even that proved elusive – I couldn’t find it. It’s safe to say Angel Road won’t be missed for its ambience and Meridian Water can’t come soon enough. But is three months soon enough for the work still left to do in finishing off? I know these things always look as though they’ll never be finished in time and all of a sudden, the last bit of tarmac is laid, the paint is touched up, the windows polished and it’s all fine for the opening, but when I visited this week, the site had the usual handful of hard-hat-industrial-boots-orange-high-viz wearing construction gang present but I didn’t detect any sense of urgency as they wandered around the site sauntering up and down the vast number of steps the new station will offer its new passengers who’ll certainly keep fit to and from the platforms on their daily commute. I may have missed it, but I didn’t spot any easy pedestrian access across from Tesco Extra and IKEA with no crossing facility at the very busy adjacent traffic light controlled junction. I also had to walk along a muddy grass verge with no footpath approaching the new site from the south. However the architects visionary mock up computer generated image shows a utopian world of just pedestrians and cyclists approaching the station and that busy junction has completely vanished. The mock up also shows the first 750 homes (as in blocks of flats) all fully built with lots of potential passengers flocking to the station but with construction of those homes not starting until next year I’m thinking it may take a year or two for Meridian Water to climb into a busier passenger usage league. There has to be a strong chance Meridian Water’s first year will see it retaining Angel Road’s crown as the least used station in London … but with the newest and most pristine facilities! I’m far from an expert on construction projects but it looked to me as though there’s quite a lot of ‘finishing touches’ still to be done, and then there’ll be the usual rail bureaucracy hoops to go through before the station can open (think Kenilworth) so I wouldn’t put serious money on a 19th May opening judging by what I saw this week. Still at least Angel Road can live on a bit longer, if necessary. Further south down the line, Northumberland Park is also wrapped in hoardings with a new footbridge access over the extra track looking ready to open as is Tottenham Hale, which is undergoing a complete transformation including a new and expanded ticket hall for the Victoria Line, which I can very confidently say won’t be ready for 19th May. As the photograph below shows, there’s quite a bit of fitting out yet to do! It will be good for the credibility of rail project deliverability if Meridian Water actually does meet its promised 19th May opening date, but it’s not looking hopeful. The recent launch of First Bus’s nine brand new Scania Irizar i6 bodied K-series coaches for its prestigous RailAir nonstop service linking Reading Station with Heathrow Airport attracted a shoal of positive comments on Twitter and in the trade press so I thought I’d give it a road test today. All the more so as I realised I’d never actually travelled on this bespoke route before; living in Sussex I don’t have much need to reach Heathrow from Reading, although back in my student days at Reading University in the early 1970s I remember trips up to London on Thames Valley’s (sadly rebranded Alder Valley in its ill fated merger with Aldershot & District) infamous routes A and B which took an age to reach London; and I really can’t remember whether one of them nipped into Heathrow to serve the airport on the way. These new coaches do look very smart indeed in their attractive Best Impressions designed livery. Sleek lines, lovely blue and grey colours and an attractive no-fuss typeface and logo with the slogan ‘railair & you’re there’. The professional design’s a world away from the busy bus-crash style message overload which befits some of First’s bus fleet in metropolitan areas (Leeds I’m looking at you!). The step entrance is noticeably nice and wide, and, naturally the coaches are equipped for wheelchair accessibility, although sadly three days advance notice is required if you want to travel in a wheelchair. It looked like it’s much more than a five minute job to remove the seats that make way for a wheechair. The gorgeous interior design matches the exterior and really is very attractive and welcoming, as are the 47 seats including twelve arranged around three tables spread through the coach. USB sockets are available as is wi-fi, although I couldn’t get a connection on my journey. The seats really are the most sumptuous and comfortable I’ve travelled in for a long time, and all the more so for passengers making the transition from a Class 800 IEP train and its rather unwelcoming seat comfort and transferring in Reading over to this luxury and comfort for the onward journey to Heathrow. It even beats First Class on an 800. As I showed on Twitter this afternoon, there was a rather disturbing amount of vibration on the table surface as the coach tackled the uneven road surfaces, especially on the M4 where long term roadworks are upgrading it to a ‘Smart Motorway’. That aside, the coach really did glide along and I found it a smooth enjoyable ride. The plaudits are well deserved. One or two observations and suggestions about RailAir: we set off exactly on time at 1300 and after seven minutes in free flowing off-peak Reading traffic reached the A329(M) at 1307, joining the M4 five minutes later at 1312. The motorway’s temporary 50mph speed limit impacted our speed until we reached the end of the roadworks by Junction 7 for Slough at 1325 when we speeded up, reaching the M25 at 1333 with a smooth run round to Terminal 5, our first drop off two minutes early at 1338 where four passengers got off and we left on time at 1340. Four more alighted on time at Terminal 2 at 1352 with our final two passengers deposited at Terminal 3 at 1358, just two minutes down. We reached Heathrow’s bus station at 1402 (instead of 1400), and the coach got ready for its 1410 departure back to Reading. Ten passengers may not seem many, (around the same number took the previous journey from Reading at 1240 – the service runs every 20 minutes) but at a fare of around £20 (for both single and return) that’s not bad going for an hours work. I booked online in advance last night, but there are a few inconsistencies with the booking arrangement. The RailAir website advises passengers must book online at the latest by 5pm the previous day, yet I found I was able to book at about 8pm without any difficulty, so that seems an unnecessary restriction. Once you receive your email confirmation and ticket, it contains the instruction “YOU MUST PRINT YOUR TICKET AND SHOW IT TO THE DRIVER”. Not only is this in block capitals but is repeated twice more and a similar warning is contained on the website. The only problem for me was my email came with a large promotional graphic which didn’t fully download in any event, which took up so much of page 1 of the 3 page email I MUST PRINT OUT that what looked like the all important QR Code was split between page 1 and page 2! Not being a computer expert and knowing how to change the settings I was a bit befuddled! In the event, the railair representative in the lounge at Reading Station confirmed it’s quite in order to simply show the email to the driver on a smartphone, and indeed my driver was very happy to see it that way! The inevitable ‘wet floor’ (it wasn’t) bollard too! The reception area at Reading Station has also been given a much welcome Best Impressions designed makeover and really looks quite splendid inside with its TV screen showing the latest news, complimentary newspapers (The Times at that too), complimentary hot drinks machine, comfortable seats as well as seats to sit and work at. It made up for the ineptness of the website booking arrangement to be honest. Another small inconsistency is that the only benefit of booking online is for an ‘Early Bird’ ticket, defined as booking more than three months before travel; otherwise, despite the messages, despite the 5pm cut off, there didn’t seem to be any difference between online prices and just paying in the lounge or to the driver. I was pleased to see the main Railcards are accepted for a third discount, which meant my fare for a single journey was £13.20; which I ranked as good value for the service provided. Bearing in mind railair is operated by First Bus and GWR has long been in the hands of First Group, you’d think there’d be close working between the two companies. There’s a lovely railair leaflet I spotted at Reading, but I’d be surprised if it was to be found at stations westwards to the West Country and South Wales. Although I did spot a GWR leaflet giving details of links to many airports from GWR’s network which included mention of RailAir. There are signs for the RailAir coach inside Reading Station and commendably departures appear on screens and therefore on apps too. I was surprised there wasn’t better signage directing you to the departure lounge as you exit through the barriers and would suggest this would help those unfamiliar that this gem is hidden behind M&S Simply Food’s central outlet. I would also suggest ways be found to include the service on National Rail’s journey planner. I caught the 1158 from Newbury arriving Reading at 1220 giving a good connection with the 1240 railair departure (had I needed it) which would’ve got me to Terminal 5 at 1320. However, if you put Newbury to Terminal 5 in the Journey Planner it will take you into Paddington and out again on the overpriced and extortionately expensive Heathrow Express arriving Terminal 5 twelve minutes later at 1332. Pay more and arrive later; I don’t think so! The long term future of RailAir is in some doubt with talk getting louder about constructing a new western link into Heathrow from the Great Western main line. At the pace of change on the rail network it will be some time before we see such a development, so in the meantime these new coaches are indeed very welcome; well worth a ride and you’re there. Today saw the launch of the third route in Bristol’s metrobus trilogy: the m1. And this is the biggy. Route m3 was first out of the blocks last May between Emersons Green and the city centre using a new bus only exit off the M32 for easy access to the University of West of England campus. This was followed in September by the former Long Ashton Park & Ride service rebranded and renumbered m2 and diverted to use some new fancy bus only roads and completely unnecessary guided busway sections (reviewed here). In reverse number order, we now have the m1. From the gigantic leisure and retail park just off the M5 known as Cribbs Causeway in north west Bristol the m1 runs via Bradley Stoke in the north east and the University of West of England to the city centre then via Bedminster and Hengrove to terminate outside South Bristol Community Hospital having taken a whopping 85 peak minutes for an end to end journey. A Monday to Saturday 10 minute frequency impressively runs from 6am right through to 1am (20 minutely on Sundays). The extended peak running time means at least fifteen buses are needed to run the route. Uniquely the route is being operated by Bristol Community Transport (BCT) under a fixed cost contract to First West of England who are taking the revenue risk. BCT is part of CT Plus which in turn is part of the expansive HCT Group (a social enterpise formerly known as Hackney Community Transport) who specialise in fixed contract operations. This arrangement is a win-win for all concerned. BCT get an extensive contract with no risk; First West of England get to develop revenue on a high profile new route overlaying their extensive Bristol city network rather than competition from a third party, and I suspect First are paying CT Plus less than if they’d operated it directly, and the local authorities, who have backed the metrobus concept and funded all the infrastructure, get an integrated package and their vision of a better quality bus service to tempt motorists out of their cars. With First West of England’s recent difficulties with staff shortages it’s also a sensible arrangement to contract out a significant resource uplift such as the m1. It all sounds like a sensible arrangement with local operators working pragmatically together playing to their strengths and local authorities putting they money where their vision is. And the evidence is metrobus is working too. Coinciding with the m1’s introduction this week, a new timetable is being introduced on the m3 with peak hour with-flow express journeys (numbered m3x) using more of the M32 and shaving eight minutes off the journey time, due to overloading from Emersons Green and the Science Park. I had a ride up and down the m1 today; it was encouraging to see so many people giving the new route a try (many buses ran full), and noteworthy how many families with young children were travelling. Extra buses were drafted on to the route to cope with the numbers travelling, helped by a first day free travel promotion – just the kind of thing to get people trying a bus route. I overheard many positive comments about the bus interiors and the service in general and I’m sure this bodes well. The interiors are nothing plush, but very smart, very comfortable and very practical. The usual usb sockets and wifi are available but sadly no next stop announcements were working on the buses I travelled on although I’m told they were working on other buses – no doubt some teething issues. I’m always puzzled why some bus companies still go for large screens which block the forward view and the ones I saw weren’t providing anything useful – other than a reminder to exit via the rear doors which was displayed only once the bus had stopped. Overlaying fifteen buses on to an already comprehensive city network without damaging profit margins is risky, but James Freeman, the well experienced managing director of First West of England, told me initially no reductions are being made to routes which now face competition from metrobus until things settle down. This is a very wise strategy as the m1 takes a different route to existing First buses at both ends of the route as well as a different route into the city. In Hengrove confusingly, existing buses into the city centre serve the opposite side of the road, and in one case (the 50A) is quicker than the new m1, so it will be interesting to see how the market reacts to this new high profile entrant. I suspect there’ll be both abstraction and generation and hopefully the latter will exceed the former (and by some margin – to cover fifteen buses!). Confusingly some bus stops in Hengrove are served by traditional First bus routes but not the m1; the lady photographed above was politely advised by our driver who stopped to explain the situation. The m1 serves the University of West of England, including the exclusive access to and from the M32, so the northern section of the route has a ready market especially as the m3 has shown, students are a great market to attract and respond in large numbers to improvements to bus routes. Despite extensive stretches of bus lanes, the m1 running time has been expanded at peak times to cope with Bristol’s notorious traffic congestion. This is sensible, as even today, albeit with first day teething problems as drivers and passengers got used to the new arrangements, on one journey I travelled on we lost fifteen minutes on the northbound journey between Bedminster and the city centre, not helped by a delayed five minute driver handover – and at a bus stop not served by metrobus (not good!). As with the m2 and m3, no tickets are sold by the driver. Every stop has a pod with clear instructions how to buy a ticket or to use a smartphone or smartcard. The fleet of buses on the m1 are powered by gas. A nice touch, but I’m not convinced many passengers notice, and even if they did, it would make a difference to their travel arrangements. But it’s good to see alternative propulsion sources continue to be trialled. All in all an exciting development and congratulations to all involved. It’s certainly worth a trip to Bristol to take a look. The Euro Bus Expo show opened at Birmingham’s NEC today for its biennial showcase of what’s hot in the bus and coach industry. I popped along for a stroll round the stands; here are ten exhibits that took my fancy. These guys were demonstrating attractive bright new displays with built in gizmos which can provide useful information like how long until the next bus comes on a Bus Full destination sign and a live map showing where the bus is travelling when on a diversion. Some of their work is already being trialled by TfL on a range of vehicles and routes. They’ve also updated their ‘seats available’ gizmo which detects people as they pass a sensor to go upstairs. I’ve no idea how much all this techy stuff costs but it’s impressive. i really like what Mellor have done with the Mercedes Sprinter – creating a practical and comfortable small bus for both urban and rural services. This larger Strata Ultra takes minibuses to the next level. Very smart and swish. A million miles from that ‘riding in a welfare vehicle’ feeling. It seems to me like it was only a few years ago if you wanted to buy a ticket machine you had the choice of Almex or Wayfarer. Then Ticketer hit the industry by storm and now they’re everywhere. They had by far the most imaginative stand in Hall 5 including an astronaut in full spaceman costume (seen here with Passenger Transport magazine’s Andrew Garnett). As a passenger I like the simplicity and quickness of using contactless on Ticketer or reading a QR code on an m-Ticket or paper day ticket. We hear about the Internet of Things coming our way with new 5G signals enabling our fridge to automatically order a pint of milk and other exciting developments so surely it can’t be long before the humble bus stop paper timetable is replaced by an electronic version? So it was good to see McKenna Brothers leading the way with this innovation – be good if they can make it as bright as their super destination blinds too. As well as on board the gleaming new buses on show there were some impressive displays of comfortable seats from a number of manufacturers. It’s encouraging to see such a step change in seat quality – passenger ergonomics are definitely taking centre stage as well as requirements for battery recharging and coat hanging. What a shame some train companies (or perhaps more accurately, their civil servant masters) don’t share the same thinking. Something else that’s come on leaps and bounds is the quality of electronic destination displays including the use of colour. Lewes based Hanover have had a long association with Brighton & Hove Bus Company and it’s good to see they’ve now got decent coloured displays available. The latest bright LED destination displays really do make a bold statement as a bus approaches as well as standing out to non users on busy streets in town centres (TfL please note). It wouldn’t be a bus and coach show in 2018 without some impressive alternative fuel powered buses on display. Optare were showing off their new Metrocity and Metrodecker EV vehicles bound for London – and now with an impressive 150 mile range (enough for a whole day’s operation) …..
… as Wright’s had the very first Hydrogen powered double deck on their stand (including a very mini version of their ‘w’ logo on the front lower panel. One of my first jobs when joining West Riding in Wakefield 43 years ago as a management trainee was to spend a few weeks in the company’s schedules department. Four people spent all day, pencil in hand, pouring over huge graph paper (it seemed like at least A1 size) trying to get the best vehicle and crew utilisation. It wasn’t long before clever people invented computer software to make the task so much easier. Now, companies such as Omnibus with its Omnitimes link schedules into many other systems and have now even launched cloud based software with interesting new functionality, but my eye was caught by these impressive screens showing ‘what ifs’ devised by Optibus and which impressively give you a resource and cost update as you make any changes. Made me quite nostalgic for doing a bit of scheduling again! Talking of nostalgia it was nice to be taken back in time on a couple of the stands and be reminded of launch vehicles of bygone times. They also remind us of just how far we’ve come. I’ve saved the Best until last. You just can’t beat Ray Stenning and his team for creating desire and promoting the bus. It’s no coincidence that most, if not all, of the award winning renowned successful companies, brands and routes have the hand of Best Inpressions behind them. Long may that continue. One final thought. As I hopped on and off all the gleaming new buses on display with all their latest gizmos and comfort attributes and which will soon be out on Britain’s roads attracting and impressing passengers, I couldn’t help but feel disappointed that the most prominent message on entry on a few of them is a stark Exact Fare farebox. In this contactless, m-Ticket, smartcard world perhaps it’s time for a change and give change? Euro Bus Expo is on until Thursday 1st November at the NEC in Birmingham if you’re reading this when published. Wonder what they’ll call the next one in 2020! Last week’s conference for Young Bus Managers in Bristol was another great success. A hundred people attended from across all five of the UK’s big bus Groups as well as ten smaller companies and even some transport students from Aston and Huddersfield Universities. The first group reckoned there’d be a north/south split on payment for fares with no cash in the south but cash continuing in the north. They expected to see MaaS (Mobility as a Service) subscription type accounts for transport use becoming common. There’ll be new safety features on vehicles which will mainly be powered by electric and gas. Wi-Fi will have been and gone as a fad, and they thought more similar fads would come and go. Recruitment of driving staff will still be a challenge but they foresaw more part time and flexible rostering. There’ll be more flexible operation in timetables (like DRT). Congestion will continue to present a grim picture. Overall they saw the next ten years as evolution not revolution. Group two foresaw more car free zones as issues surrounding traffic and the environment increased. There’d be many more Park & Ride operations with buses having priority over cars. On ticketing there’ll be more integration across modes through the use of apps. Smartcard use would continue to supplement smartphone ticketing. They also foresaw more electric vehicles provided the challenge of smart charging can be sorted. Group three thought the regulatory structure for bus operation would be adapted in different places to suit political will (e.g. franchising). They felt DRT would not succeed as the market was too small but they saw the growth of feeder services connecting into frequent trunk routes. They had concerns about the future of the High Street. The fourth group didn’t foresee shock changes – more evolution. BSOG and Concessionary Fares will still be issues. Vehicles will emit 100% clean exhausts. There’d be limited use of autonomous vehicles for specific applications (e.g. airports). There’ll be more electric vehicles. They foresaw continued frustration with politicians who fail to tackle unfettered car use. Cash would still be commonly accepted for fares payment. Access to information will be better, there’ll be more multimodal tickets and better real time information. Electronically imaged timetables will be displayed at bus stops making it easier to update when services change. There’ll be more useful apps as a consequence of new Bus Open Data arrangements. There’ll be no change to passenger demographics but there will be a national fares scheme for young people and there’ll be work to simplify fares. The fifth group thought the threat and opportunities presented by low emission zones will become more political – LEZs becoming the next revolution (previous one being low-floor buses). There’ll be greater partnership working with local authorities. Diesel will disappear as a fuel with cheaper alternatives but they thought grid supply challenges will make electric buses unlikely with gas becoming more common. Autonomous vehicles would be limited to garage shunting movements (freeing up depot space) and emergency braking on the move. Business will become less operational minded and more customer focused. Group six highlighted electric vehicles with ULEZ schemes becoming commonplace. Vehicle interiors will continue to improve with wireless charging as standard (aimed at young people). There’ll be more new business models such as Snap and Vamooz. Tackling congestion will continue to be a dominate theme. Franchising as a model might be in place in some areas but it was thought partnership working will remain the favoured option with politicians. Regulatory arrangements will be modified to allow for more on demand type services. Contactless will be the main form of payment in urban areas. Google services (e.g. journey planning) will be dominant. Bus companies will increasingly target growth hubs such as universities, hospitals and airports. Another group who foresaw evolution not revolution. Group seven went for some blue sky thinking. They thought bus companies would move beyond the farebox and look for alternative income streams like some airlines have done. Maybe mining and selling the vast range of data. There’d be much better utilisation of assets – Ryanair/easyJet style. They thought there’d be a Brexit effect on driver availability which may lead to bus companies concentrating on core corridors due to a shortage of staff. They wondered if bus companies will diversify more into other modes including ride sharing, cycle hire etc. And finally group eight saw electric vehicles along with changes to regulatory arrangements to allow buses a greater level of accessibility in new greener zones with environmental concerns increasing. Urban areas will have cashless buses while rural areas may have DRT type services (or left without buses). Fares will be much simplified; staffing will be more flexible with more part timers. Some thought fares will be halved as a radical step. It was a great end to a packed conference which included a frank and candid after dinner speech from Traffic Commissioner for the West of England, Kevin Rooney; a fascinating, and I must add, totally realistic presentation from Professor Graham Pankhurst (from the University of the West of England) on the impact of technology on public transport including smart and autonomous vehicles, propulsion and fuel options, managing congestion and ride sharing; presentations from James Freeman and Shalando Williams of First West of England including a site visit and ride on new metrobus route m2; and presentations from Claire Walters of Bus Users UK and Sarah Huntley of The TAS Partnership. The conferences are a great opportunity for young managers in the bus industry to learn, share experiences and network with their contemporaries across all the main companies. It must be a unique set up – I doubt any other industry brings young people together from competing companies in a commercial environment to share knowledge and network in this way. Long may this continue. More information about the Young Bus Managers Network can be found here. Conferences are administered by Transport Events Group and financially supported by the Chris Moyes Scholarship Trust set up in memory of the Go-Ahead Group’s Chief Executive Chris Moyes OBE DL, who left us far too early aged 57 in 2006. Is Oxford’s Pick Me Up picking up? Oxford’s Pick-Me-Up is now over three months old so I thought it was time to see how it’s settling down after the introductory honeymoon. My four criteria to judge these new ride share taxi-come-bus services are: waiting time for bus to arrive; direct or meandering route; solo ride or share with other pick ups/set downs; cost. As I’ve observed previously, for the passenger the perfect experience would be: short wait; direct route; solo ride; cheap fare, while for the operator compromises on this perfection are essential for business success. The big question is how much compromise is necessary to make it viable without it becoming unattractive for the passenger? Today’s experiences are just a snapshot and can hardly be regarded as considered research, but this is what happened…. Ride 1. I arrived Oxford station at 1120 and immediately booked a ride to John Radcliffe Hospital. Back came the offer of a pick up in 13 minutes from Frideswide Square just round the corner from the station. I was a bit surprised the major picking up point immediately outside the station wasn’t offered but it can be a congested area with terminating buses and a plethora of taxis so I wandered over to the nearby pick up point away from all that public transport hullabaloo ready for the pick up. At 1136 (just slightly later than predicted) my Pick-Me-Up bus appeared but worryingly drove by and turned right into the station forecourt. I spotted a couple of passengers on board so guessed they were being dropped off and hotfooted it over to see. It turned out the driver needed a pee-break so had parked up and a co-driver who was standing alongside welcomed me on board joining a mum and her two young children. It also turned out a passenger had been dropped off at the station making my algorithm specified pick up location at Frideswide Square even more puzzling. Our driver duly relieved reappeared after a few minutes and at 1140 we headed off towards the JRH. It turned out mum and offspring were also heading my way so top marks to Via’s algorithm for matching us up and taking advantage of this travel coincidence. I’d guess this added just 4-5 minutes to my journey to drop them off on London Road with a quick turnaround on a petrol station forecourt. Just like my first ride with Pick-Me-Up in June there seems to be an aversion to enter the grounds of John Radcliffe Hospital where there’s a useful bus station area conveniently adjacent to the entrance to the hospital’s main building. Instead Via’s algorithm decided it was best to drop me off in a nearby street where there’s a short cut through a private road to the bus station area (assuming you know that – feigning ignorance, I was reassured by the on board co-driver it was a public right of way). My short walks to both the pick up and set down points this morning were no problem for me but could have been extremely frustrating for someone with accessibility issues. No grumbles about the cost of my journey which at £2.50 was only 20p more than if I’d got the standard bus, and would have got me to the hospital in the same journey time. Ride 2. After some nourishment I booked another ride at 1234 from the JRH bus station to some way south along the Cowley Road. A pick up in 7 minutes beat the Company target of ‘within ten minutes’ and what’s more was going to actually come and pick me up at the bus station in the hospital grounds. Yay! Tracking progress of the bus coming towards me, it looked suspiciously like it was either dropping someone off or doing a pick up. No matter, as the bus arrived pretty much as predicted at 1242 and sure enough a couple travelling together were already on board hopefully enjoying the detour through the hospital grounds and presumably they were also heading my way. Quite an extraordinary coincidence as I’d chosen Cowley Road as a destination completely at random! We made good progress albeit along a traffic-calmed residential road with the usual humps and narrowed chicanes on part of the route …. …. and I was dropped off at 1252 as predicted and another £2.50 charge. I’m not sure if my fellow riders were wanting to head south into Cowley but that’s the direction the bus continued in after it had dropped me off. I nipped back to Oxford Station on a conventional bus and thought I’d try something a bit more adventurous – a ride to the Oxford Science Park in the south of the catchment area. The algorithm wasn’t so keen on this idea though and stood me up. Never mind, I thought. How about my favourite ride – another trip back to JRH? Turned out that was just right for a minibus that was heading that way in only a minute; but strangely I’d need to sprint over to Frideswide Square again for the pick up! I decided I’d turn that opportunity down, and tried again for a ride south – right to the extreme southern tip of the catchment area but no the algorithm wasn’t having any of that. It was towards JRH or no go. So; once again I learnt these new fangled ride share schemes are inevitably a compromise between the passenger’s needs and the business model’s requirements. If a bus is going your way within a reasonable timeframe – you’re in luck. If not, it’s tough luck. It’s good to see Pick Me Up carrying passengers but I’m yet to be convinced there’s a viable future; certainly at £2.50 a trip I reckon it’ll be impossible, but charge too much more and I’d think twice about paying that. Ever wondered what around £100 million will buy in the way of Bus Rapid Transit? I popped over to Belfast today to find out. The idea of creating a metro style cross city transit route has been discussed in the City for some years and as always with projects of this kind, (like in Bristol), it’s way behind the original hoped for introduction. But on Monday last week it finally glided into action. It’s very impressive to see; there’s no doubt about that. It looks exactly like the vision those pioneers at First Bus envisaged when introducing ftr back in 2006 – a tram-like-driver-isolated-in-the-cab vehicle with bespoke tram-like stops and lashings of bus priority measures. The downfall for ftr was the onboard self-service ticket machine which was never going to work, as well as introducing those first vehicles on a completely unsuitable route in York. Further trials in Leeds and Swansea never worked either because of the unacceptably high cost of employing conductors. Translink operated Glider has overcome that problem by using some of the £100 million to install easy to use ticket machines (including contactless cards accepted) at all 110 or so bus stops along the 15 mile Glider corridor and implementing a strictly buy before you board policy policed by two-person ticket checkers who were out in force when I visited today (costly in itself but a good deterrent). There’s also a smartcard system and good value day tickets. I found it quick and easy to buy my ticket. The high profile bus stops along the route are all impressively fitted out with seats/perches and information including real time. There’s an abundance of bus lanes all along the route (operational 7am to 7pm), sometimes only in a city bound direction, but even in the off peak when I travelled we gained time by passing other traffic queuing at traffic lights. The 46 seat (yes, only 46 but lots of standing!) Van Hool hybrid articulated buses look slick and are painted in a smart purple (similar to ftr). They give a very smooth quiet ride. The Glider brand and livery as well as the interior decor are however very much understated but in some ways that gives it a bit of class. As befits a publicly owned undertaking there’s no promotion or marketing to be seen; you wouldn’t know the key points served by the route (quite a few), frequency (high), price (good value) or added benefits (Wi-fi + usb) from seeing the buses. I picked up three different leaflets about the service. Only one had a timetable and also had a route diagram, one of the other two also showed the route and details of the smartcard while the third had general information. All a bit confusing. The timetable leaflet was available at the city centre Visit Belfast shop and Metro kiosk but not the main city Europa bus and coach station. The two other leaflets (but not the timetable) were on display at the very impressive waiting area building at the eastern terminus of route G1 – the Dundonald Park & Ride – now called Park & Glide. No leaflets were available on board the buses or at bus stops. Buses had four screens showing next stop and the two following with clear audio announcements except both times I ventured over to West Belfast the system gave up a few stops past the city centre. Presumably some technical teething problems. Other teething problems were impacting the cross city G1’s timekeeping big time. Buses are timetabled to run every 7-8 minutes with an end to end journey time of an hour. It was taking longer than that leading to inevitable gaps in service, bus bunching and some over crowding. A service controller was kept busy at the central Wellington Place bus stop moving passengers from one delayed bus to another and there looked to be quite a bit of light running going on. It didn’t seem the service was being controlled remotely using GPS positioning and radio contact with drivers which surprised me. I’m sure these initial timekeeping problems can be overcome with a quick fix timetable review but it’s unfortunate that in the meantime goodwill during the honeymoon period is being lost as adverse comments build up on social media (#gliderbelfast refers). The much shorter route G2 shuttle service running ever 10 minutes between the City Centre and the Titanic Quarter was keeping time much better and proving very busy with a steady flow of visitors to this popular tourist attraction. The scheme promotors have spent quite a bit of the marketing budget on high profile Glider branding around the city centre and you can’t fail to notice the name. One interesting feature onboard are the three doors being push button operated by passengers once released by drivers which will keep warmth in the vehicle in the winter. The G1 cross city route is very significant in linking the communities of East and West Belfast (Secretary of State Karen Bradley please note!). I was intrigued to see if other passengers would join me in making the cross city journey on my travels and interestingly on one trip a couple did travel from the heart of East Belfast right into the Falls Road area in the west. Previously both sides of the city had separate routes – the 4 to the east and the 10 to the west. It’ll be fascinating to see if more cross city, cross culture and cross community travel develops as Glider becomes established. The desire is to introduce more Glider routes if this initial foray is a success and more significantly if future funds allow especially as a sizeable chunk of the money for this first route came from the EU as part of the Regional Development Fund. Another interesting and unique aspect is the competition buses and now Glider face from the well established Black Cab scheme in West Belfast and especially along the Falls Road where ride sharing has been in place for many years and was much in evidence today. It’s a fascinating project which, aside from the initial timekeeping teething problems, has been well executed and just shows what you can do with around £100 million. I wish it well. Seven steps to simpler rail fares. Sorted. Tomorrow is the last day to give feedback for the Rail Delivery Group’s review of rail fares with the aim of making them much easier to understand. They’ve produced a simple clickable online survey which, if you don’t make any additional comments or suggestions, only takes around five minutes to complete, so is well worth a whirl. There are questions on things like the merits of basing fares on distance, time of day/day of week, level of service, time of booking, method of booking, flexibility of travel, split ticketing, rewarding loyalty, discounts for railcards as well as methods of payment. 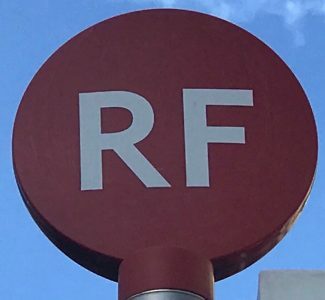 The RDG review pledges any changes will be financially neutral so for every attractive outcome offering lower ticket prices there’ll be others paying more for their journey. I can’t see the latter going down well with the rail industry’s political masters nor the commentators and media who like to find fault. Which group of passengers will willingly pay more for the sake of achieving a more logical, easier to understand fares system? 1. Do away with cheaper return tickets and just have single journey tickets. In some cases cheap off peak returns are only 10p more than the single which is particularly anomalous. Instead maintain the ability to buy a return (for convenience) but it’ll simply cost double the single. In averaging this all out, most people already make return journeys so this won’t have a huge impact on what people pay; it will mean cheaper single journey prices and modestly more expensive return prices but still achieving the same overall revenue take. While we’re at it, the summation of single leg journey prices mustn’t be less than the price charged from end to end to avoid split ticket anomalies. 2. Do away with Advanced Purchase discounted tickets. In many cases, for Standard Class travel, they don’t offer the savings they first appear to once the cost of a return journey is taken into account. An off peak return is very often just as cheap as two Adanced Purchase tickets for the separate journey legs. Furthmore, off peak returns offer complete flexibility on journey travel times. 3. Do away with peak/off peak price differentials; charge the same ticket price irrespective of travel time. Bit radical, I know, but season ticket holders travelling five days a week already pay something close to five times the off peak fare anyway. They always reckon they’re hard done by, but actually the perceived high cost of travel is because they pay in bulk and make more journeys. An occasional traveller pays much more per journey as they pay full whack in the morning peak with an Anytime Ticket. This change will obviously mean off peak ticket prices rising relative to peak prices but see my suggestion number 7. 4. Do away with cheaper tickets restricted to one particular train company. 5. Make it much more clear what the ‘Any Permitted’ route options are for tickets. I’m pretty sure only the renowned ticketing expert Barry Doe knows what can be done and what can’t; the rules are so complex and almost impregnable. It can’t be beyond the wit of the fares experts at the RDG to produce a nice interactive online map of the rail network where you can click on your origin and destination stations and up comes all the route options possible on the map. I think people would be amazed what flexibility is available and when combined with the ability to break your journey at any station on route (something many passengers are also unaware is possible) opens up many flexible travel options. 6. Do away with seat reservations. Increasingly I see passengers ignoring their allocated seat and instead opting for a preferred better placed unreserved seat especially when unreserved (or less busy) coaches are marked up on platform indicator boards. Passengers like the ability to choose a preferred seat once they actually arrive on the train, but this leads to chaotic scenes where reserved seats are foregone as passengers rush to bag unreserved seats. I’m also increasingly finding electronic seat reservations systems are unreliable leading to more confusion as passengers board along the route expecting to find their reserved seat. 7. My final suggestion, having swept away cheaper returns, cheaper advanced purchases, cheaper peak tickets and reservations in favour of a simple easy-to-understand one price system…….is to add a bit of complexity back, but using a promotional marketing approach by significantly expanding the range of Railcards. 7a Make Railcards available for any adult without the need to be of a certain age, have a partner or children, or work for the armed forces. Yes, let anyone buy a Railcard. A sort of Nationwide Network Card. The range will include paying something like £100 up front for a year which would offer say, a 50% discount off peak on the new standard single fare. Or another could be £40 offering a third discount. I’m not privy to know the revenue streams from different tickets now, so it’s difficult to know what the price band/discounts need to be, but I hope you get the idea behind the principle of establishing say three or four Railcards of this kind to appeal to different market segments. You’d design Railcards to appeal to regular users as well as occasional users and the discount would encourage travel by offering a good value price. Offers could also be made on the upfront price of the initial Railcard purchase to encourage take-up and discounts given for longer duration Railcards, as now, say for a three year validity. 7b Existing Railcards would continue and with some extensions of validity. For example Senior Railcard discounts should be available at any time, including during the morning peak in the London and South East area (ok, I need to declare a slight vested interest here; ok, a big-time vested interest here – I live in London and the South East and I use a Senior Railcard; a lot). Journeys wholly within London and the South East (as per the Network Railcard area – which itself is nonsensical to have one Railcard’s restrictions based on another’s area) are not discounted until after 9am presumably on the logic of not giving a discount at a busy time of day with packed out trains. But that doesn’t stand much scrutiny as Londoners with a Freedom Ticket (available to over 60s) giving completely free travel can use the overcrowded Underground at any time as can Senior Railcard holders travel at a discount on packed out morning peak trains in other conurbations around the country and finally as justification, Senior Railcard holders can already travel across the L&SE area border at morning peak times – e.g. there’s no time restriction on discounts for a pre 9am journey from Brighton to Ipswich (Ipswich is outside the L&SE area) but discounted travel is not possible pre 9am for Brighton to Colchester (Colchester is within the L&SE area). Again this is something many passengers don’t know about, indeed my recent experience has been even some ticket office staff don’t know about it either and wrongly assume a Senior Railcard means no discounts before 9am. Not true. So that’s it, a much simplified ticket system with some attractive incentives through a new range of Railcards. Sorted. If you’ve got ideas or comments about rail fares be sure to click here by close of play tomorrow. The second of the three new metrobus routes began operating in Bristol yesterday. The m2 links the Long Ashton Park & Ride site (south west of the city) via some impressive newly constructed exclusive busway road to the city centre where the bus does a large anti-clockwise circuit. It’s been controversial and way behind schedule. This route’s £50 million budget is part of an overall £200 million scheme being overseen by Bristol, North Somerset and South Gloucester Councils. I’m not complaining about the high cost though; compared to rail schemes or roads it’s virtually petty cash and it’s good to see buses receiving impressive infrastructure investment. First West of England has bravely taken the route on as a commercial proposition and I reckon they’re going to have their work cut out to achieve the elusive double digit margins City analysts demand of PLCs. Unlike route m3 which began in May serving the busy University of West of England campus at the route’s southern end (north of the Uni is a bit barren) the m2’s main objective is bringing Long Ashton Park and Riders into the city centre. There’s not really much else to it. Helped by well over a mile of new exclusive busway buses bypass any traffic congestion until they’re close to the city centre. That’s good for journey time and timekeeping (28 mins to Broadmead/22 mins back again) but not so good for picking up other revenue potential. The circular city centre route has proved controversial as many commuters have complained the new circuit means a much longer walk to their workplace than the previous 903 service, but I’m sure such criticism will die down once the new arrangements become familiar. There are always winners and losers and a circular routing does make sense for Bristol’s central road layout. The £4 First Bus day ticket is good value and can be used across their network with longer period tickets also available as are First’s M-ticket range. Despite this it’s surprising there’s only one ‘iPoint’ ticket machine at the Park & Ride terminus. As metrobus drivers don’t handle fares that’s surely a recipe for frustration with queues building up at busy times with a bus about to leave. Considering the investment in these ‘iPoint’ totems along the routes, even at quiet stops (on both sides of the road) this seems very shortsighted and penny pinching. I also see the frequency is only every 20 minutes before 10am on Saturdays and would have thought that’ll be unpopular in the busy weekends leading up to Christmas. Otherwise it runs every 10 minutes at peak times. 12 minutes off peak and 20 minutes in the evenings. Astonishingly the Park & Ride is closed on Sundays and route m2 doesn’t run! That is a bizarre omission. The busway has sections of guided track which, just like in Leigh in Greater Manchester, are completely unnecessary. I suspect it may be to do with getting grant funding from the DfT that required a certain percentage of route to be ‘guided’, if so it’s bureaucracy gone bonkers as it slows the bus down, costs more to build and operate when there’s no issue with available road width. The route serves Ashton Gate stadium but buses won’t stop on Bristol City home game days as capacity is a problem. It’s also advertised as serving Temple Meads Station but not via the bus stops right outside nor on Temple Gate at the bottom of the access road but to the side in Temple Way accessed through the station’s side entrance/exit. In the event the connection to the station is a bit tenuous as, other than people like myself, few arriving by train would want a bus to a Park & Ride site on the city’s fringe and there are plenty of other buses to the city centre from right outside the station or on Temple Gate. It’s a shame the m2 bus stop in Temple Way hadn’t yet been updated from the former 903. Despite these shortcomings Ashton Gate stadium and Temple Meads are highlighted in the route’s inflation leaflet. There were copious supplies of the leaflet available at the impressive Park and Ride kiosk along with other facilities. The buses are functional and comfortable rather than luxurious and are clean and well presented. The livery is a bit drab and doesn’t really excite. The bus stop facilities along the route are excellent, if anything, a little over the top but better to over provide than under. If I didn’t fancy using First West of England’s smart newly branded Excel excellent bus routes but instead was an ardent motorist living in North Somerset with commitments in central Bristol I’d definitely use Long Ashton’s Park and Ride car park and hop on an m2 bus into the city centre. It beats sitting in Bristol’s notorious congestion. It remains to be seen whether sufficient people will do likewise to make it viable. Certainly every effort’s been made to make it an attractive option and well done to all concerned. If you’re down Bristol way soon give it a try – it’s free on the last two Saturdays this month.